The Holy Spirit. That is the answer to every question. How do I overcome this addiction? The Holy Spirit. How do I become healed of this hurt? The Holy Spirit. How do I become free from this hangup? The Holy Spirit. Somehow, as Christians, we believe we needed the Holy Spirit’s help to become saved, but then think we can take it from there. How silly of us. 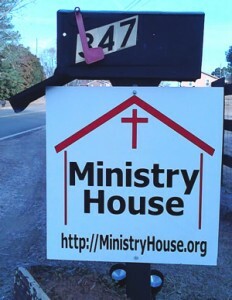 As we say every week at Celebrate Recovery at Ministry House, if we could have fixed ourselves by now, we would have. But we can’t. It is impossible. And God doesn’t expect us to white-knuckle it, and do it all by the force of our will. Every time we face a temptation, our only hope is to call out to the Holy Spirit in prayer and ask for His divine intervention and power to rescue us from the situation, either by removing the temptation or giving us the ability to withstand it. It is the habit that will SAVE you every time. But it takes breaking the old deceptive habit of self-preservation and doing things the way we’ve always done them. It takes being willing to feel emotions you have been avoiding, and experience pain and disappointment without covering them up with substances and distractions. Yesterday, I had an “aha” moment that made me feel foolish. I am at the 11 month mark of successfully surrendering my eating disorder. The way I have had victory is by NOT doing any of the things I have done before – extreme dieting or starving or exercise, followed by stuffing and losing control, followed by extreme hopelessness and feelings of shame and failure. The way I have done it is solely by crying out to the Lord every time I face a food or situation that has the power to trigger me, and asking Him to help me experience my emotions and the discomfort of this situation as it is, un-soothed and un-distracted by my drug of choice – food. I ask Him to rescue me AT THIS MOMENT from THIS TEMPTATION. And he has, every time. So when I asked God why I was struggling with the next issue He has instructed me to deal with, emotional vulnerability, He showed me it was simply out of fear of being emotionally hurt, betrayed, or even attacked again. I asked how I can possibly overcome that fear. He said the same way you have overcome your eating disorder. How simple. Why did I not realize that the same Holy Spirit power that has saved me from destroying myself with food is the same power that can protect me from the emotional pain that living in this world can bring? So call upon the Holy Spirit, every time, over and over again, so you can get through each day, one moment at a time. The answer to every question is The Holy Spirit. Receive scripture based messages 3 times a day, with the option to also receive one of the Celebrate Recovery 12 Steps and 8 Principles every morning. Also send yourself up to 3 personalized messages a day, like reminders to pray or journal, or scriptures that really speak to you. Go to JesusTextMe.com and start receiving free messages via text, email, Android or iPhone App today! Use our Contact Us form to ask to be added to our email list to get weekly reminders about Celebrate Recovery meetings and events. We will be starting up Men's and Women's Step Studies soon. Step Studies are where the most in-depth healing occurs. Step Studies require that you purchase the four (4) book series ($6 each) and attend small group studies on another night apart from the main Celebrate Recovery meetings. For more information, call Ronnie Haynes at 678-459-2347, or use our Contact Us form.